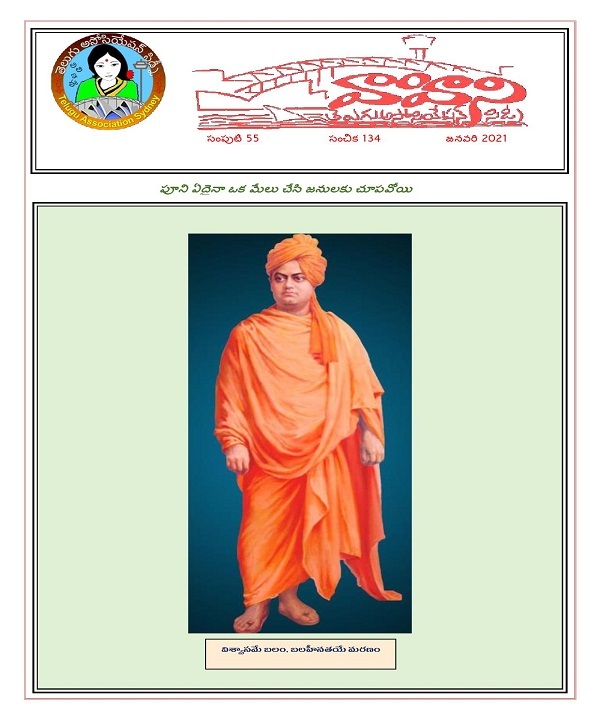 Telugu Association publishes a monthly Telugu magazine with news and articles. Apart from the Association’s news, it contains articles contributed by local and international. Vahini is run by an Editorial Board with autonomy and editorial independence to ensure quality and integrity of the matter published in it. Vahini welcomes all our Telugu amateur writers to send their stories, novels, poetry, household tips, recipes, etc... We request you to send your contributions before 15th of every month. This will give enough time for the editorial board to take necessary steps to publish the article in the next month issue. Vahini encourages every Telugu person to write articles in Telugu for publication. However, Vahini recognizes that the next generation Telugu children in Australia may have limited knowledge of writing skills in Telugu. Children can send their art work, cartoons, jokes or their experiences they want to share with the community. They can express themselves in the language they are comfortable with. This we believe will help us all enjoy the creative talents of Telugu youth. Telugu Association publishes a monthly Telugu magazine with news and articles. Apart from the Association’s news, it contains articles written by local and international authors and cartoons. Vahini is run by an Editorial Board with autonomy and editorial independence to ensure quality and integrity of the matter published in it. If paying by cheque, please make your cheque payable to Telugu Association Inc.
Disclaimer : This site is built, published and maintained on voluntary basis. It is purely non commercial and non profit oriented. Some content is obtained from other websites with due permission. Photos of the participants of our cultural events are also published. If any individual or organization has any objection to any part of this site may please inform us so that we can take prompt action either to justify or remove it. Other than this, the association and the webmaster claim indemnity to any legal action. Un-authorised copying and reproduction from this website is prohibited. Thank you for visiting our website. Please give your valuable suggestions & feedback to improve and encourage our efforts. Also please visit our sponsors' links.